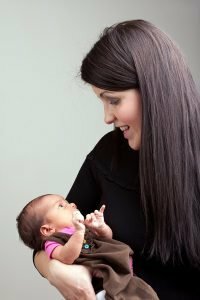 HOPING TO ADOPT A BABY? HERE'S OUR PROCESS! Completing your application with Adoption Choices of Colorado is the first step if you’re hoping to adopt a baby. Our agency offers, home studies, matching services, placement, and post-placement services. Providing the most accurate information on your application is essential in assisting our staff with the completion of your home study and in matching you with birth parents. Once your application is received and processed, you will be notified about which other documents will be required to complete your file. The home study process at Adoption Choices of Colorado is progressive, non-judgmental, and cooperative. Our caseworkers are trained professionals who are compassionate and understanding, with numerous years of experience in working with prospective adoptive parents. Several of our caseworkers are themselves adoptive parents. 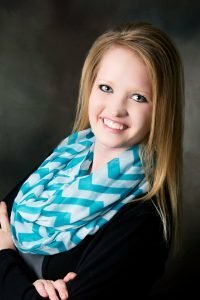 It is our philosophy that the home study experience should be enjoyable, educational, and positive, along with assisting you in discovering the unique attributes you bring to parenting an adopted child. Adoption Choices of Colorado customizes the matching process. Prior to having your adoptive parent profile presented to birth parents, you will be able to review the possible match and ask questions. Then you can say yes or no to having your profile presented. The preferences and criteria information you have provided on your application will be used to present customized matches to you. Our agency is now offering additional marketing exposure and the ability to have your adoptive parent profile and video (optional) on six (6) different adoption/birth parent related websites. Services include customized profile coaching, video creation and editing, and electronic, mobile friendly versions of your profile. We strive to provide our families with the highest quality of customer service and our main goal is to help your match happen as quickly as possible. Post-placement supervision is required in every state in private adoption. It is the period of time between placement of a child you, and the time that your child’s adoption is finalized in court. Colorado regulations require post-placement contact at two weeks, three months, and six months after placement, along with monthly telephone/email contact. The purpose of post-placement supervision is to gather information about, among other things, your child’s health, attachment, and development as well as your adjustment to becoming parents. The final report will recommend that the adoption petition be granted and state that finalization will be in the best interest of the child. The number of post-placement visits required will vary, based on the regulations of the state in which your child was born. Should a child be placed in a state other than Colorado, Adoption Choices of Colorado will adhere to the regulations of that state and will provide visits and reports at more frequent intervals. (Additional fees may apply). The State of Colorado requires 16 hours of face-to face training for all families adopting domestically. We require that this is completed prior to the placement of a child in your home. The cost of this class is $650 per weekend and is scheduled with our office. The Agency offers these trainings once a month. Included in this training are guest speakers and a newborn trainer. Please contact us for more information and to reserve your spot in a class. Completing your application with Adoption Choices of Colorado is the first step in getting you started on your adoption journey. Our agency offers, home studies, matching services, placement, and post-placement services. Providing the most accurate information on your application is essential in assisting our staff with the completion of your home study and in matching you with birth parents. Once your application is received and processed, you will be notified about which other documents will be required to complete your file. Our agency will provided court approved living expenses for birth mothers who need the help. We can help with expenses such as rent, utilities, food, sundries, and your phone bill. We understand how difficult it is to get back on your feet and return to work after delivering a baby and we want to help you as much as possible. Depending on your State of residence, the amount of court approved expenses may vary. We provide counseling to you as the birth mother, the birth father if he is interested as well as your family and other children. We want you to have a great support system and we believe that helping others around you understand adoption and what the future brings sets you up for success. We require that this is completed prior to the placement of a child in your home. The cost of this classis $650 per weekend and is scheduled with our office. The Agency offers these trainings once a month. Send in your application along with the proper fees. We will review your application and send you a letter informing you what documents are needed in order to complete your file. What is the wait time before a baby is placed in our home? The average wait time is 12-18 months depending on your preferences for your adoption. Depending on your openness to race, mental illness, and drug and alcohol exposure the wait time may vary. We welcome single parents that are hoping to adopt. Adoption Choices of Colorado doesn’t discriminate based on marital/partner status. Many times we find that birth parents are open to seeing profiles for single parents. We encourage birth parents to choose the best family for their baby including single parents. Do you work LGBT applicants? Adoption Choices of Colorado has been proudly assisting lesbian, gay, bi-sexual and transgender (LGBT) families with the gift of adoption since we opened our doors in 2002. Our agency is honored that you have chosen to gather more information on us and our services. The home study process and the application process is the same for all those applying with our agency. The LGBT applicants should present themselves, in their profile books, to birth parents just as any other applicants would. 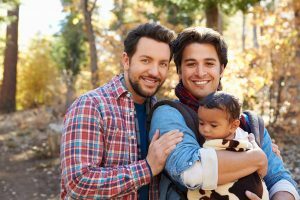 You should show birth parents that no matter your sexual orientation, the baby would be joining a loving, responsible family. Show your home, your family and friends, your hobbies and interests and do not be afraid to show your relationship with your significant other. On average, the home study takes two to three months to complete. You can speed up the process by gathering the required documents, scheduling your medical appointments, and completing your paperwork and fingerprint cards in a timely manner. Adoption Choices of Colorado can provide only the services you need to comply with Colorado state laws. These services include the application process, the home study, the required adoption training, and post-placement or post-adoption services. Open Adoption: In an Open Adoption, birth parents and adoptive parents are in direct contact with one another and share identifying information with each other. This type of adoption may involve the methods listed above in the semi-open adoption as well as in-person visits, without going through the Agency. The plan for openness is decided and agreed upon by both the birth parents and the adoptive parents. Open adoptions allow the child to connect more easily to his or her birth parents and to maintain a relationship. Keep in mind, the level of openness is always changing and shifting throughout the adoption and after placement; relationships change as time goes on. In Colorado, open adoption agreements are not enforceable by law but are encouraged for the best interest of the child. Semi-Open Adoption: In a Semi-Open Adoption, birth parents and adoptive parents usually meet prior to the birth of the child, and the adoptive parents are often times present for the birth. After placement, communication, such as pictures, texting, phone calls, letters and emails, may occur. Last names and addresses of both parties are not disclosed, unless otherwise agreed upon by the birth parents and adoptive parents. This type of adoption allows for communication between the birth parents and adoptive parents while also maintaining some privacy. Keep in mind, the level of openness is always changing and shifting throughout the adoption and after placement; relationships change as time goes on. Confidential (Closed) Adoption: In a Closed Adoption, there is no contact between birth parents and adoptive parents, with the exception of the birth parents’ non-identifying social/medical information that is provided to the adoptive parents. This type of adoption is rare in private adoption situations due to social media and the internet.